Since August 24, 2010 a special series ‘Women of Glory’ is being aired on Radio Sai every Tuesday to spotlight distinguished women of the world. The third episode scheduled for September 7 offers a glimpse of the indomitable spirit that Joan of Arc epitomized during the 15th century. A peasant girl, who is considered a national heroine in France and a Catholic saint, Joan of Arc was guided in all her actions by her Inner Voice. Her devotion to God was unquestionable. What sets her apart is the fact that she sought no earthly reward for her daring actions that defied imagination. Below is the link to listen to this programme as well as the text of this presentation which has been produced by the students of the Anantapur campus of Sri Sathya Sai Institute of Higher Learning. It is the morning hour. Teena is sitting in the garden at her house deep in thought with the day’s newspaper in hand. Neha, a close friend, enters. Neha: Good morning! (Again in a louder voice) Good morning, Teena. Teena: Oh! I am sorry I did not hear you coming. How are you? Neha: I did not know reading the newspaper could transport a person into deep contemplation and meditation. Teena: No, no… Neha, I am not meditating. In fact, I feel I am in deep depression. The newspaper is only filled with world news on strife, violence, war, theft, robbery and terrorism. When will people learn to live in love and harmony? When will they learn to love one another and respect each others’ territory? When will they be blessed with contentment and not be driven by greed? When will people stop fighting and when will there be peace? Neha: Wow, so many questions! What you say is very true and indeed it is a very sad state of affairs that we humans are the very cause of our own downfall. Teena, your words remind me of someone else’s words. Teena: What simplicity and profundity. These words must be of some great philosopher. Neha: (laughing) No Teena, you will be surprised. These words were spoken by a young country girl - a woman warrior and a saint of the 15th century. Neha: Very difficult to digest, is it not Teena? Many people think of women as inferior, incapable of such wisdom. A woman is often thought of as weak, helpless and of shallow thinking. But if a woman is a home maker, she can also be a king maker. Besides, her role as a homemaker is one of the strongest, most important in our society. It is our ignorance that does not let us acknowledge this fact. Women’s mental strength and spirit of sacrifice is unsurpassed and she can make a phenomenal difference to her family, society, nation and the world at large. In this case, the young lady who spoke these profound words was named Joan. Though born just a lowly peasant girl in an out-of–the- way place known as Domremy, a village in northeastern France, it was she alone who had the courage to answer God’s call to set her nation free. She was only 16 when she left her home for good, won great victories, crowned a king and died a martyr, and yet this was only the beginning of the immortal life of the remarkable and incomparable Joan of Arc, the woman warrior and saint. 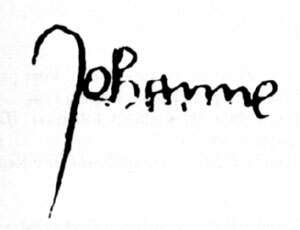 Though it all happened in France more than 500 years ago, this is not simply an old story. It will continue to be new and important until there no longer are people who set out to conquer and rule over others. Joan was the daughter of a farmer, absolutely illiterate, yet who understood the political and military situations in France much better than most of our newspaper-fed university women graduates understand the corresponding situation of their own country today. Teena: I am very keen to know more about her Neha, will you please enlighten me. Neha: Why not! 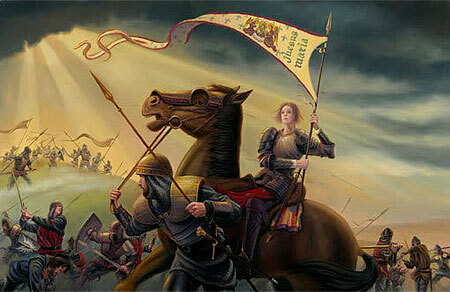 Just this morning I had googled Joan of Arc. This is what I found about her on YouTube. 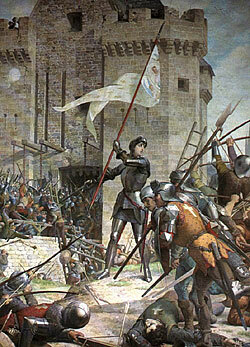 Joan of Arc was born during an era of political instability in Europe. At the outset of her mission, the English had almost achieved their goal of a dual monarchy under English control and the French army had won no major victory for a generation. The future French king, Charles the VI, assumed the title of Dauphin as heir to the throne at the age of 14, after all four of the older brothers died. Under his reign, large sections of France were conquered. 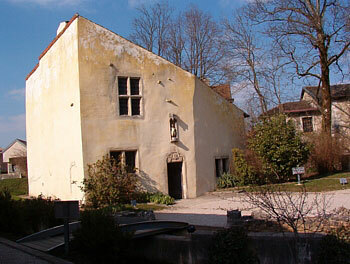 The English had laid siege to Orleans, which was the only remaining loyal French city north of Loire. France was on the verge of ceasing to exist as a separate country and monarchy. At this critical juncture, the young Joan led the French army to several important victories during The Hundred Years’ War and was directly responsible for the coronation of Charles VI. She was captured by the Burgundians (East Germanic tribe), sold to the English, tried by an ecclesiastical court, and burned at the stake when she was 19 years old. 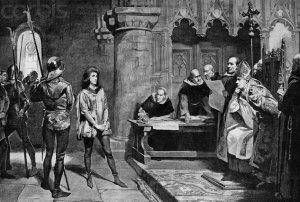 Twenty-four years later, on the initiative of Charles VII, Pope Callixtus III revoked the decision of the ecclesiastical court, found her innocent and declared her a martyr. She was beatified in 1909 and canonized in 1920. Many question how a young, farm-bred and uneducated girl that Joan was, got inspired to take up this Herculean task that even men would not dare? Teena: Isn’t that truly intriguing? How on earth did she manage to do all of that? Neha: In 1424, Joan first heard voices of Saint Catherine, St. Margaret and St. Michael who came down from heaven and gave her certain instructions. These continued regularly over a period of four years, during which time she developed as a mystic. You see, Teena, the ‘voices’ of the saints prepared her for a special mission to drive the English from France, to relieve Orleans, to clear an area of northern France of enemy troops so that Rheims (a city 129 kms from Paris) could be captured, and then lead Dauphin to be crowned as Charles VII of France. In fact, historians and believers alike have questioned as to why God intervened at all. Teena: Yes, that thought did cross my mind too. Neha: Many now believe that every generation needs dynamic figures to bring to life within personalities the teachings of God. Such lives show that with God’s help it is possible to overcome the apathy, hopelessness, lack of vision and selfishness that obstructs many. In the Bible it was stated to the chosen apostles, “Because you have so little faith. I tell you the truth, if you have faith as small as a mustard seed, you can say to this mountain, ‘move here to there’ and it will move. Nothing will be impossible for you.” These words are truly justified, when applied to Joan’s life and her faith in God. Every age has had its share of skeptics who have questioned the validity of Joan’s claim of hearing voices. They ask if anybody else also heard the voices. How do we know if the voices Joan claimed to hear weren’t hallucinations or dramatic imaginations that played tricks with her senses? 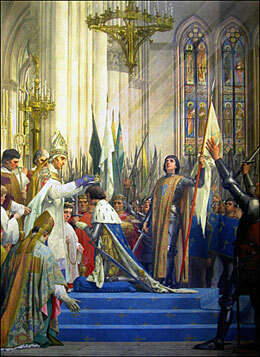 Even though not much can be said regarding the authentication of the ‘voices’ that Joan heard, historians point out that even if she was following imaginary voices, nobody disputes the relief of Orleans, followed up by the coronation of Charles VII at Rheims. They were her military and political master strokes that saved France. Besides, we have been taught from childhood that all of us are prompted by an inner voice - the voice of the conscience, telling us what we ought to do and what not. This was exactly Joan’s simple interpretation of the voices that she was hearing. Teena: What would you say was one of Joan’s most incredible achievements? Neha: The mobilization of the weak army of France against the mammoth power of the English is considered a truly remarkable task. She could do that only because of her unshakable faith in God. Occasionally, in history a horseman or horsewoman appears during troubled times to lead the charge. 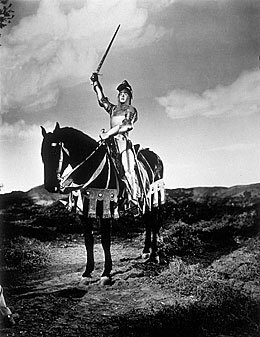 Joan was such a rider who led a just cause against invading English. Her king and clergy just wanted the win for self-preservation and never accepted her divine authority. Joan saved her God, her king, her clergy and her people. Neha: In hindsight, history has come to recognize her as a visionary who had the determination to fulfill and realize her vision, as a woman of policy and not of blind impulse. She was as much a realist as Napolean; she had his eye for artillery and his knowledge of what it could do. Surprisingly, as determined as she was about her goal, she had no political ambitions. She was completely selfless. All she wanted was love and affection from her country men. When Dauphin (Charles VII) was crowned the king, she refused to appear in public and said that her job was over. Most appreciate but few can relive the sacrifice of Joan today, for the exacting price it demands. Anybody fighting for a cause or truth will find himself or herself all alone in the world. It is indeed a tragic irony of life. That truth about Joan’s life stands out as an example for entire humanity – her dauntless determination and courage. She was not bothered if anybody was with her. She was ready to march alone. She found strength in her convictions and finally proved everybody wrong. 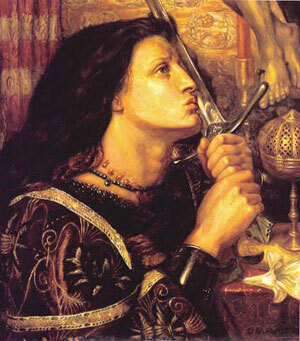 The climax of her story, which is the highlight of all her virtues, is the famous trial - the trial of Saint Joan. It was during this prejudiced trial, that Joan proved her mettle not only as a saint but also as a witty and wise person. Teena: Could you take me through the trial of Joan please? Neha: Let’s take a look about how it’s projected on YouTube, shall we? Joan: If you command me to declare that all I have done and said, and all the visions and revelations I have had, were not from God, then that is impossible; I will not declare it for anything in the world. What God made me do, I will never go back on. Voice 1: Woman, you have said enough to burn ten heretics. thousand miles begins with the single step. Voice 2: If the church militant tells you that your revelations and visions are sent by the devil to tempt you to your damnation, will you not believe that the church is wiser than you? Joan: I believe that God is wiser than I, and it is His commands that I will do. If any churchman says the contrary I shall not mind him. I shall mind God alone. Voice 2: It’s not enough even to be what simple people call good. The simplicity of a darkened mind is no better than simplicity of a beast. Joan: There is great wisdom in the simplicity of a beast, let me tell you, and sometimes great foolishness is in the wisdom of scholars. Voice 1: Does not that prove to you that the voices are the voices of evil spirits? Can you suggest to us one good reason why an angel of God should give such shameless advice of wearing a soldier’s dress? Joan: Why? Yes. What can be plainer commonsense? I was a soldier living among soldiers. I am prisoner guarded by soldiers. If I were to dress as a woman they should think of me as a woman, and then what would become of me? If I dress as a soldier, they think of me as a soldier and I can live with them as I do at home with my brother. Neha: Though the court was entirely against her, she fought the case fearlessly. Teena: It does make me feel light and hopeful about the future. Few can believe that a single woman can do so much to even change her nation’s destiny. Indeed St. Joan has proved that the journey of a thousand miles begins with the single step. Neha: Yes, I am glad you could see it from that point of view. Teena: Wow! That was truly an amazing lesson in strength and conviction. Neha, you always give me the much indeed boost of inspiration. How is it that you always see the positive side of every situation and have such comprehensive knowledge? Neha: All that credit goes to my University and the divine chancellor Sri Sathya Sai Baba. I remember what Bhagavan says about women. He says that a woman is a combination of purity, innocence, aggressiveness and shyness. Joan was indeed a poster girl of such a rare combination. Her zeal to fight made her a warrior. 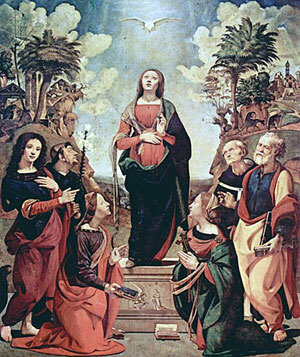 Her motivation and inspiration were the voices of the saints reflecting her piety and simplicity. But, however, at one juncture she denied her voices. Teena: When she had such strong faith and conviction, why did she deny at all? Neha: To protect herself from getting burnt at the stake. Teena: So, you see Neha, this also shows her humanness. Am I free now? No, you should eat the bread of sorrow and drink the water of affliction, to the end of thy earthly days in perpetual imprisonment. No, give me that paper, light your fire. Do you think I dread it as a life of a rat in a hole. My voices were right. 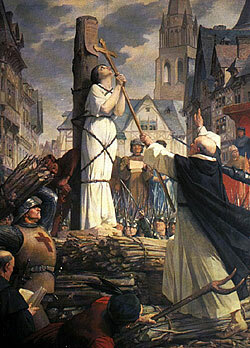 Teena: What the world needs today is another Joan of Arc who single handedly made a difference to her country. 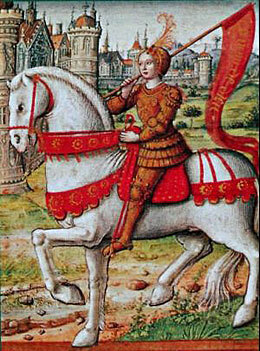 But it is also true that if there were to be a Joan of Arc today, we would send her to the stakes once again. Neha: Unfortunately, I must agree with you. Yes! If she were here today her fate would not be much different. In this connection, I must also make another reference to a discourse by Bhagavan Sri Sathya Sai Baba, where He mentions about man being invaded by the evil qualities. There is a constant war going on in the hearts of humans, the fight between right and wrong, good and evil. Man is a lonely warrior here and he himself has to settle the scores. What he requires is the faith like that of Joan of Arc - that God is always with him and that he must always listen to His voice - the voice of his conscience. If every human being fights to conquer the inner enemies and his mind, this world would become a heaven. Then history will not lament about martyrs and their sacrifices, and peace, love and understanding will rein the world. St. Joan taught by her example that life is all about choices. It’s up to us to make the choices. St. Joan, an epitome of values, not only symbolized faith, courage, surrender and patriotism, but also perfectly lived the 4 F’s that Bhagawan wants us to follow. St. Joan Followed the Master, Faced the Devil, and Fought to the End to Finish the Game. She implicitly followed the Master; she did not think twice before acting upon the instruction of the Lord. She faced the devil in the court. She was subjected to a lot of trial and tribulations, but emerged unscathed. She fought to the end. She fought her legal trial without a lawyer to fight her case. And yes! Though she lost the case, she did finish the game. Years after she had been sent on stakes, the truth was revealed and the Church has canonized her as Saint. Teena: It is neither practical to be a saint nor possible to be a warrior in today’s world. Does St. Joan hold no relevance today? Neha: Rather it is the other way round, Teena. St. Joan holds the solution to this predicament – a warrior in spirit but a saint at heart.